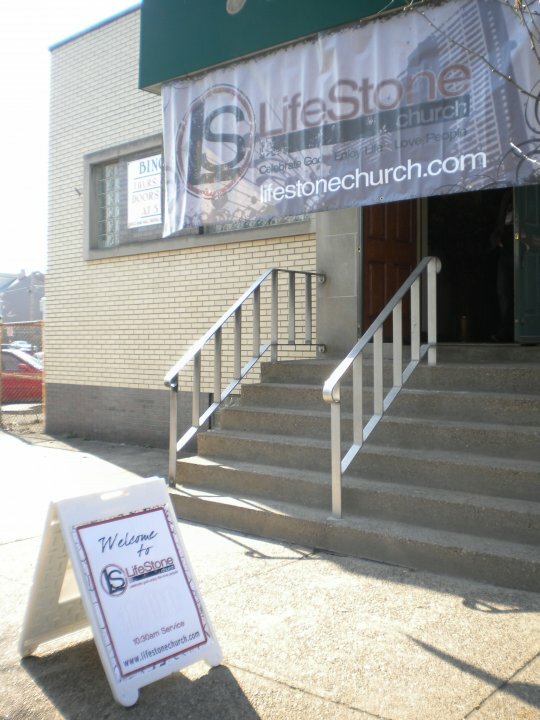 Finishing up my recent blog series on our MCM church plants, we’ll look at LifeStone Church, which will be launching this June in the South Side. Last October, LifeStone set out to hold their first Harvest Party in the community for the kids and families that live in South Side. They set their goals high as they hoped to see 100-150 people come out for this first big outreach. Little did they know, God has bigger things planned, as they had over 250 people show up for this first major outreach! As LifeStone began the process to plant, one of the initial things to identify in a community is a Sunday morning meeting space to hold services in. This proved to be a more difficult task then originally thought. For months Jack scoured South Side looking for a building in the right location and price range. One after another, the doors were closing. In fact, as we approached their first two preview services, we still did not have a building identified. Then, just at the right moment, God opened the door for LifeStone to meet in the American Serbian Club just off the main street in South Side. It has ended up being the perfect building in the right location with plenty of meeting space! God’s timing was perfect, as usual!! LifeStone's first Easter Egg Hunt in South Side a few weeks ago. oing to be just another little outreach. Although they planned for 300 at this Easter Egg Hunt, they had over 600 show up, coming from all over South Side and even some surrounding communities! As LifeStone prepares to launch in just a month and a half, please continue to keep Jack, Jamie and the team in your prayers! Launching a church is not a simple thing at all, but we know that when God’s favor rests upon it, He will build His Church and nothing will prevail against it! !